"Published by the kind permission of the intellectual property right owners Flite Electronics International". 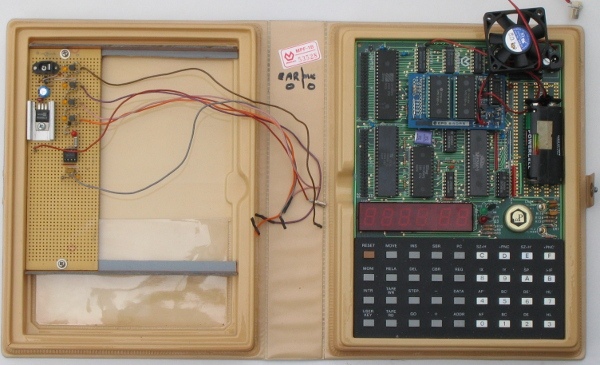 The original Z-80 machine with a 2 kByte monitor ROM and a six digit 7-segment display. A reissue of the 1B, but with a better keyboard and a 20 character 14-segment display. A 6502 computer using an external video. More related to the MPF-II than the other 1s. A 8088 computer using a 2 lines by 20 character LCD display. This one had a real case and a real size keyboard. The board with wires on the right was made to test software and hardware extensions. Of course those never materialized. In the extra RAM/EPROM socket is a battery backupped RAM board. Above the voltage regulator is a small fan. The heatsink becomes uncomfortably hot without. Speech Module SSB-MPF The speech synthesis module is based on the Texas Instruments TMS5200NL chip. 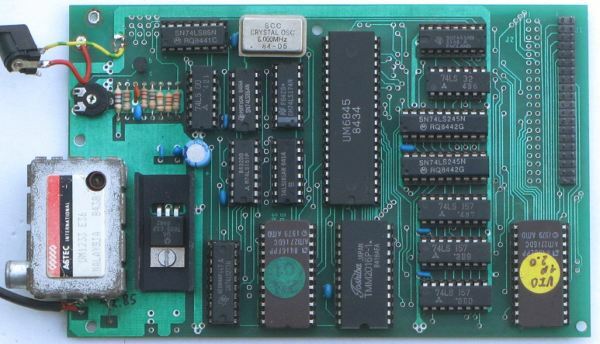 There are at least two versions of this board; the original with the EPROM at 0800h-0FFFh and RAM at 3000h-37FFh, and a newer version with EPROM at A000h-A7FFh and RAM at 4000h-47FFh. For the original version the monitor ROM on the MPF-1 was exchanged by a combined monitor (0000-07FFh) / VIDMON ROM (0800-0FFFh). 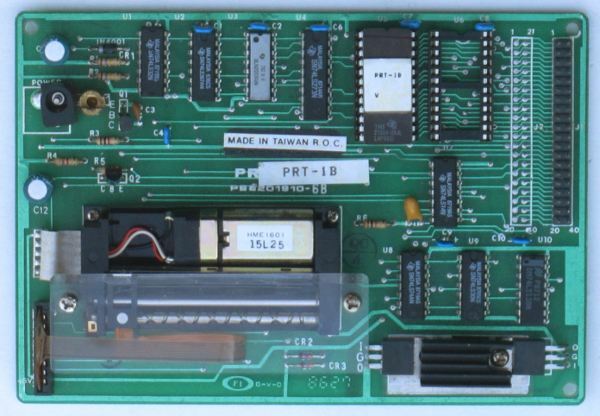 But the later MPF-1B had a monitor / Tiny-Basic ROM. So the VIDMON ROM was relocated to A000h-A7FFh. The character set image is the result of the key sequence: [ADDR], A, 0, 0, 7, [GO], [ADDR], A, 0, 1, 6, [GO]. The 2.0 ROM has a deliberate routine to replace every printed [`afg by afhi^. Why is a mystery to me. The manual for version 1.0 is at the Virtual library. A modified ROM is also available here fixing the character mangling. Scanned documentation and ROM dumps. 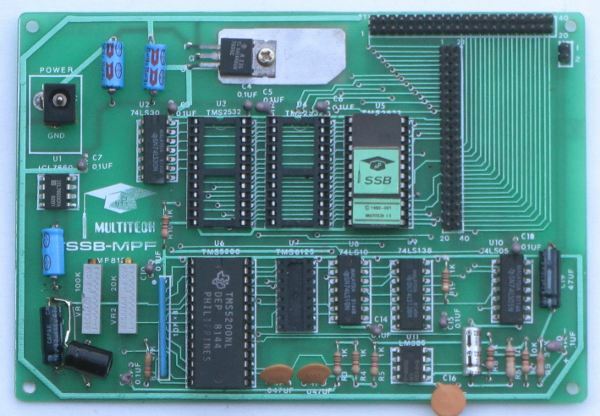 OLD-COMPUTERS.COM has an overview of the MPF-1 variants with pictures.